Ameritex Flag and Flagpole specializes in bringing your custom made horizontal flag to life. Whatever the design it can be printed on our excellent outdoor flag material. We can custom make your flag in any size you desire. What you see on our website are just standard sizes. Call us for any custom details not available here. Our custom made flags come in standard square horizontal, guidon style flags, pennant style flags and burgee style flags. 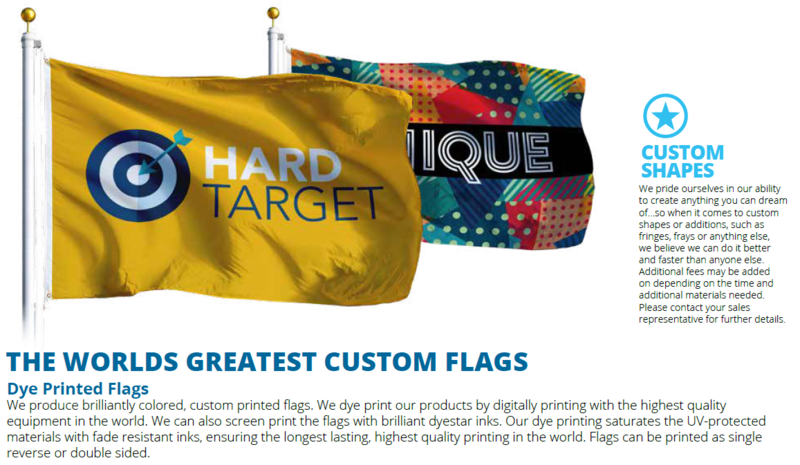 Each flag style can be customized to fit your needs.